Driver Derrick Rennert was treated at the scene. 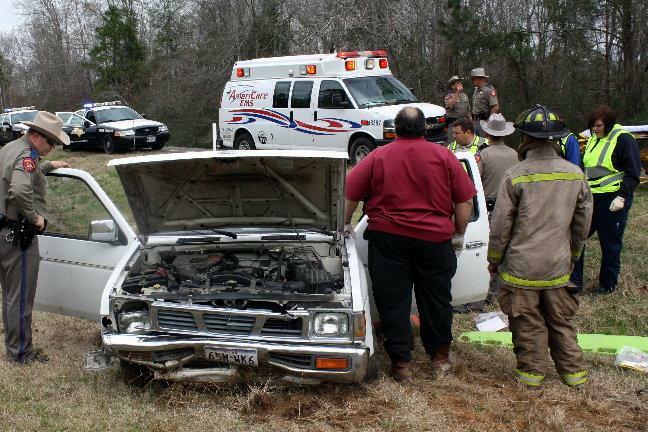 Driver Wrecks Pickup, Pregnant Passenger Hospitalized, LIVINGSTON, January 28, 2010 - Shortly before 1 pm on January 28, 2010, a white 1993 Nissan Pickup driven by Derrick Van Rennert, 20, of Onalaska, was south-bound on FM-3126 about a mile south of US-190 when his truck left the road to the right and crashed. Americare Ambulance Service, the Scenic Loop Volunteer Fire Department, Deputy Darren Crow, and DPS Trooper Darwon Evans were dispatched to the scene. 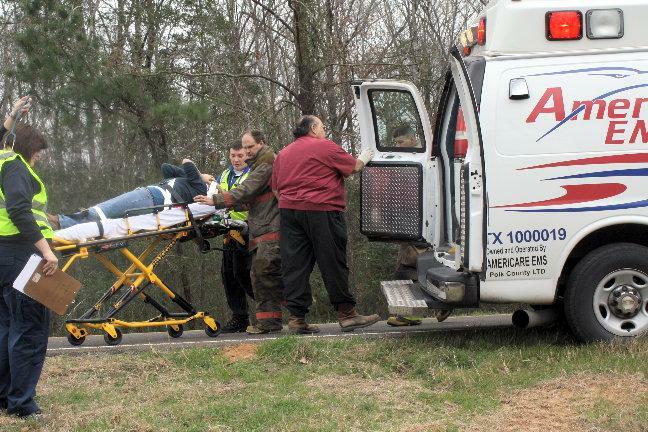 Rennert was treated at the scene for a minor arm injury, however, his pregnant passenger, Vanessa Alsup, 19, was transported to Livingston Memorial Hospital by ambulance with undisclosed injuries. Traffic was not blocked during investigation and cleanup. Rennert had insurance and was issued a citation for failure to maintain a single lane. A rollback wrecker from George White & Sons recovered Rennert's vehicle and it will be stored in Onalaska. The scene was cleared by 1:53 pm. Rennert left the road to the right ran over a culvert and came to rest in the grass. 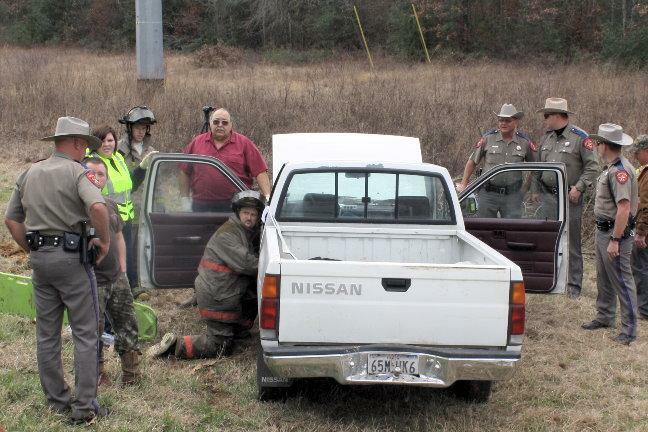 Emergency personnel work with Vanessa Alsup. 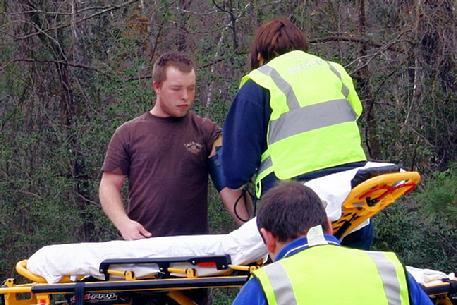 Alsup was taken to Livingston Memorial Hospital by ambulance.